1. Material: Aluminum with anti oxidation coating. 3. 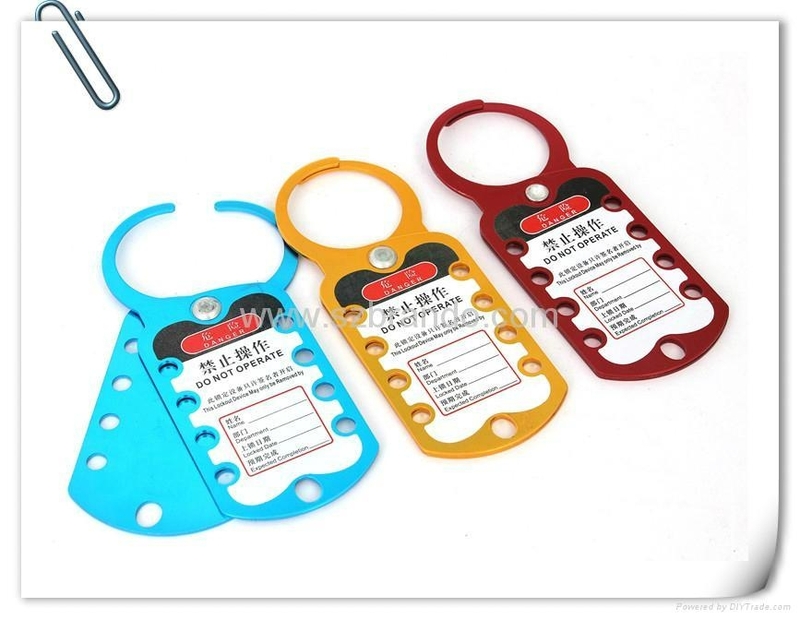 Colors: Red(BO-K51), Yellow(BO-K52), Blue(BO-K53), all colors are available. Six-hole steel clasp locks, Steel belt clamp mouth clasp locks, Sparkproof aluminum clasp locks, Butterfly lockout hasps, Non-conductive lockout hasps, Universal lockout hasps, Lockout tags,etc.